Dr. Debra Hoffman graduated from Indiana State University in 1977 and Logan College of Chiropractic, St Louis, MO in 1980. Licensed as a chiropractic physician in Florida since 1980, Dr. Hoffman is a Diplomat of American Chiropractic Academy of Neurology and certified as a Chiropractic Sports Physician, as well as being certified in Propriety Substance. She is certified as an Independent Medical Examiner and in Impairment Ratings. The 2007-2008 President of the Florida Chiropractic Association, she has served on their Board of Directors since 2002, participated in various statewide committees including Chair of the Industrial Health Committee, the Alternate on the Medicare Carrier Advisory Committee, Co-chair of the New Practitioner Committee and member of the Governmental Affairs committee. Nationally, Dr. Hoffman serves on the American Chiropractic Association’s Medicare Advisory Committee. In addition to her statewide and National commitment to chiropractic, Dr Hoffman provides leadership, instruction and assistance within the Hillsborough County Chiropractic Society, the Greater Tampa Chamber of Commerce in the Leadership Tampa and Leadership Tampa Bay programs and several benevolent activities, in particular Sincerely Santa, a children’s Christmas charity and past co-Chair of Friends of Life Path Hospice. 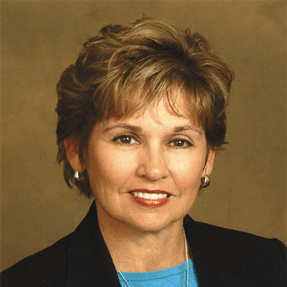 Dr. Hoffman has maintained an active practice in Tampa since 1980 and has been active with her Alma Mater’s college and Educational Foundation currently serving as the Vice Chairman of the Board of Trustees to Logan College of Missouri. In Florida, she has served as an examiner, writing and reviewing test items for the Florida Board of Chiropractic for 15 years, providing expert opinions to the Florida Board of Chiropractic and the Florida Division of Workers’ Compensation and speaking at the annual Florida Workers’ Compensation educational conference on several occasions. A role model for professional women, Dr. Hoffman is distinguished as the only women chiropractor in Hillsborough County in 1980 and the first women president of the Hillsborough County Chiropractic Society. Her dedication and commitment to her profession and her community are benchmarks to all healthcare professionals.